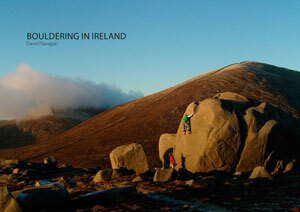 A few days ago Vertical Life launched new digital guidebooks versions of Bouldering in Ireland and Rock Climbing in Ireland. Based in Austria, Vertical Life already have a wide range of digital guides on the app and are looking to expand their coverage. I think that their app is going to be the de facto digital climbing resource, if it isn’t already, and am delighted to be working with them. The advantages of a digital guide are many but the stumbling block for me was the effort involved in developing the app. So when approached by Vertical Life, who already had the app in place, it made a lot of sense for me. Obviously I still think there is a place for print books and anyway it’s not a case of choosing one over the other. It gives you the option of the leaving the guide at home or in your bag at the foot of the crag and it meands that once you have installed the app you have access to all the guide at all times (assuming you have your phone to hand). A great backup in case you forget your guide or don’t feel like carrying to the crag. The app itself is very slick and intuitive. Bar charts show the range of grades at each crag and you can track the routes/problems you have climbed so there is a lot of extra functionality as well. You can build ticklists and get directions to the crag via Google Maps. There is also a social aspect in that you can tick routes, comments on grades and see what others have done. Anyone who buys Bouldering in Ireland Rock Climbing in Ireland (or Rock Climbing in Ireland) from this point on will get access to the respective digital guide on the app for free. Each book will have a sticker on the first page that when scratched off will reveal a once-off code that grants access to the guide on the app. I think this is a really great offer. People will also be able to buy either the entire guide or even just a small section (a crag or area) through the app. This is a great option for visitors who are interested in just one specific part of the country. Download the app now from the Google Play or Apple store.